Connor Franta started fashion label Common Culture just over two years ago. Recently, the brand announced a new capsule collection in collaboration with Urban Outfitters, the second that Connor has launched in collaboration with them. The first one came out a year ago across a dozen stores in the U.S. and, to put it frankly, was a complete hit. Now, the follow-up contains six different products, as well as a limited edition vinyl. For those who don’t know, Connor also started a music label called Heard Well, where he makes compilations of songs by various artists – this vinyl holds 12 of the best songs from the compilations he’s made. From colour combinations and eclectic patterns, Connor’s got his eyes everywhere, always looking for something to make into his own. Anything from classical art and museums to Vogue Runway can inspire him to create. Furthermore, he also tries to design things that he would want to see out there himself – which is initially how his clothing brand came to be. 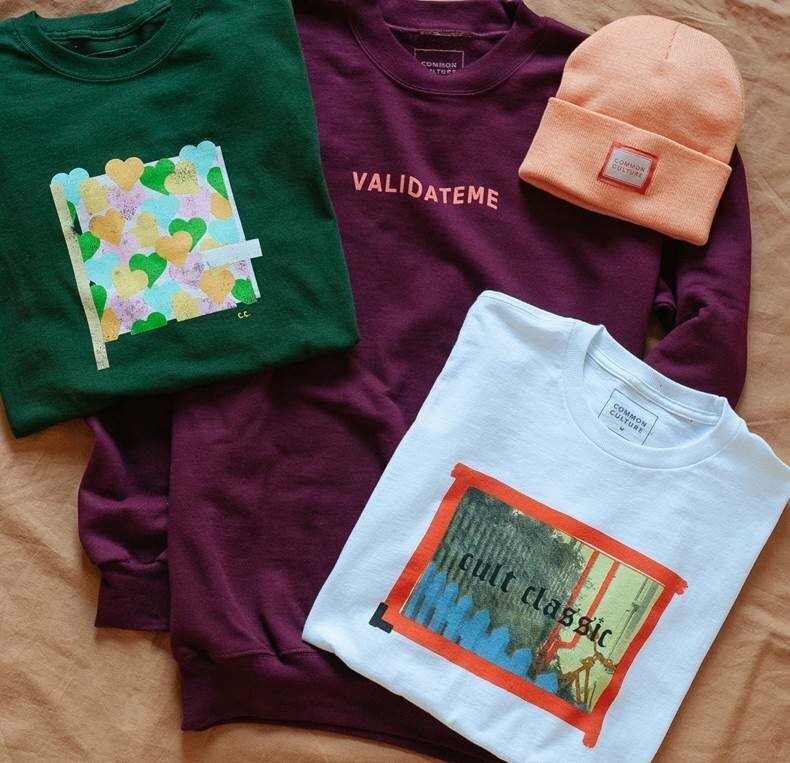 With Common Culture, he set out to create something that wasn’t merchandise, but a clothing line (“I don’t want to make something with my face on it because I would never wear something with my face or my name on it”). Fashion is a big part of Connor’s life. One of his favourite parts of the day is deciding what he’s going to wear; even more so if he gets to go out and away from his office, which primarily consists of him on his computer working on his next project. His favourite item from the new collection is the ‘Cult Classic’ t-shirt, which has a primary colour design that can be worn with quite literally anything. He also really likes the Lonely Lane cap as it’s an accessory that can be worn with most outfits. In February, right before the new launch, Connor made his way to New York for Fashion Week. “It’s a really odd experience, because you put a lot of effort into getting ready and being presentable to go to the show,” he says, reflecting on his time there. “Then, sitting on the actual runway and watching all these designs go by, it’s so inspirational.” When it comes to getting ideas from shows, Connor finds himself noticing every little detail – be it fabric, style, or placement. He leaves taking notes for himself as he continues to learn the ropes within the fashion industry. Having gotten his start on YouTube and social media, Connor was used to immediate reactions after working on something. With fashion, however, things are much different – in terms of both the process and the subsequent feedback. His designs have been evolving as Connor himself grows, too: each new item reflects what he’s currently interested in stylistically as well as what the world is interested in in fashion. Elsewhere, Connor has also dipped into modelling, with an appearance in the latest Gap campaign. While he doesn’t see himself appearing on any runways, he does like modelling for fashion shoots and campaigns. His most recent campaign – coming after Gap – has been for Kenneth Cole as part of The Courageous Class of Spring 2018. The angle is all about models being role models, drawing on everything that they’re doing for society. Connor, as a big part of the LGBTQ+ community, is an active member of GLSEN, which is a non-profit that tries to bring positive change for LGBTQ+ children in school. Order our print cover with Connor Franta now.